To culminate a successful year of competitions, a select few members of the Robert C. Wright Speech and Debate Team brought their all to the National Speech and Debate Association National Championship in Salt Lake City, Utah. From June 12 to 17, six Flyers impressed everyone with their astounding performances and enjoyed themselves along the way. “Nationals this year couldn’t have been better. The tournament was filled with great competition and was therefore very rewarding. Aside from the actual tournament, Salt Lake City was a perfect location, and together we had an awesome time there,” recalled John Michael Magloire ’18, the youngest of the Flyers who attended the tournament. The hard work and dedication that these students showed throughout the year gave them the confidence to passionately speak their minds at this tournament. They had strong showings in several different events, including Lincoln Douglas Debate, World Schools Debate, Extemporaneous Speaking, and Poetry and Prose Reading. The Speech and Debate team gathers to celebrate its success after the awards ceremony at Nationals. Anthony Sikorski ’16 and Robert Wines ’16 competed in World’s Debate on a team composed of five students from a few different schools. The team reached the double-octofinals, and Anthony received the honor of third place speaker in the whole division. William DeVito ’16 made it to the semi-finals in his category of Prose Reading, while Peter Charalambous pushed through Extemporaneous Debate to last an impressive nine out of twelve rounds. While the seniors certainly did well, it was the lone sophomore who flew the highest at the tournament. After excelling in rigorous qualifying tournaments and in turn distinguishing himself from many other skilled debaters, John Michael Magloire was rewarded with a storybook ending to his rather fruitful year. With a stellar performance that well over three hundred other debaters could not match, J.M. proved himself as the fifth best Lincoln Douglas debater in the entire nation. This is Chaminade’s best finish in the category to date. Moderator Bro. John McGrory ’84 also expressed confidence in the team’s ability to continue its triumph as this new school year begins. “While we graduated some excellent speakers and debaters, the returning students are already showing so much enthusiasm and talent that I am sure this will be another winning year,” said Bro. John. 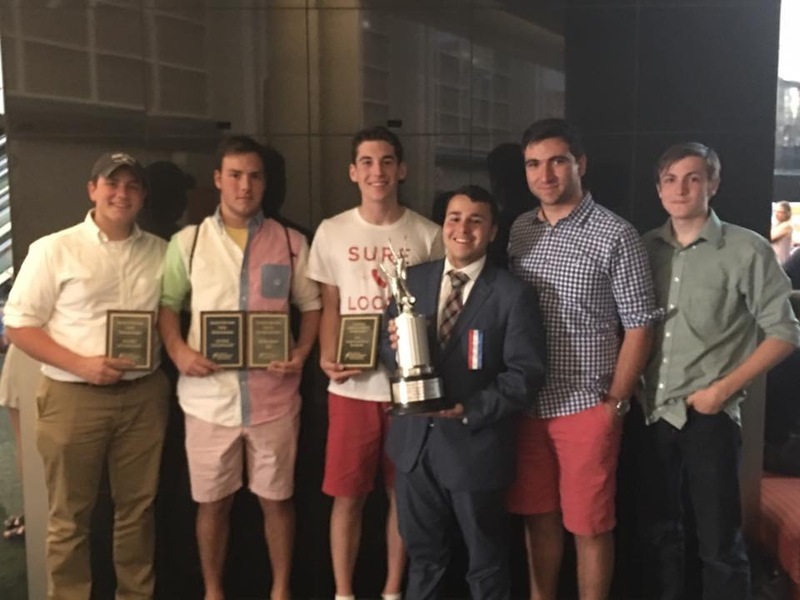 The Speech and Debate Team shone last year in a variety of ways, and the strong performances turned out on the national level came as no surprise considering the commitment that is always shown by Chaminade’s speakers and debaters. This year, the team returns with even higher ambitions. With the intent to take all of the competitions by storm, the Speech and Debate captains and other experienced members have taken on the responsibility to train the enthusiastic newcomers. The future is indeed bright for this talented group of young men who will continue to speak their hearts out, even in the face of the toughest competition. Posted in News and tagged nationals, Speech and Debate. Bookmark the permalink.